If you have room in your garden for a new shrub then this is a good one. The Witch Hazel is so easy to look after. Plant in full sun or part shade preferably somewhere you can appreciate the foliage and flowers in autumn and winter. Looks best in a woodland setting underplanted with spring bulbs such as Snowdrops and Daffodils. 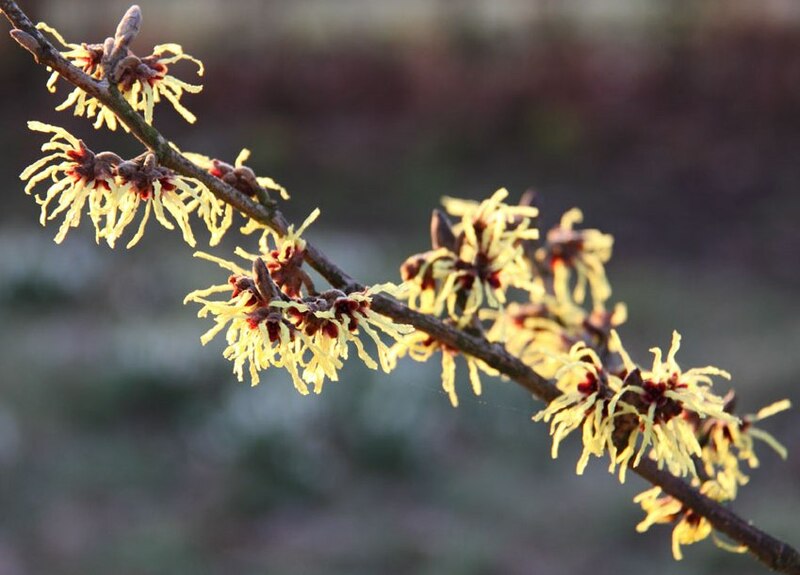 Witch Hazel flowers are surprisingly frost hardy. 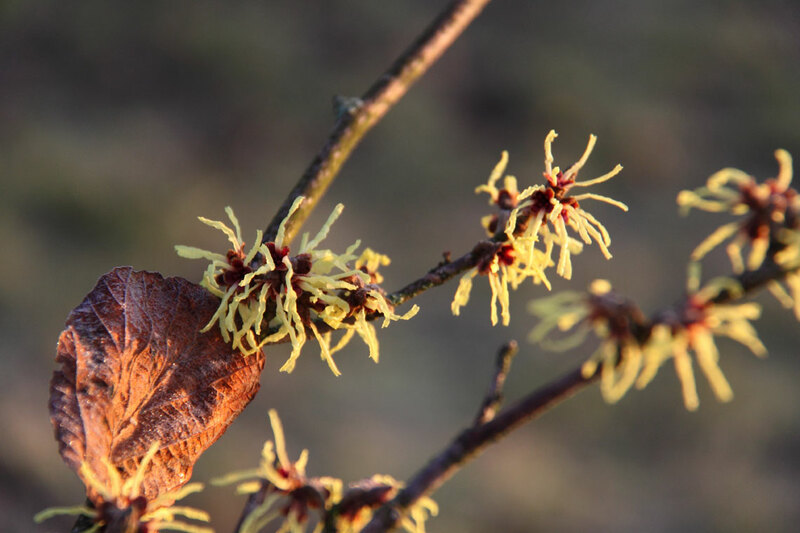 Witch hazel flowers in winter on bare branches before the leaves appear in spring. This is a hardy deciduous shrub. Like all Witch Hazels it has an open habit and this one spreads its branches widely. It is slow growing and eventually becomes as wide as it is tall. Mature shrubs may reach 4m wide x 4m high which is about 13 feet x 13 feet. In autumn the broad oval hazel-like leaves turn yellow. 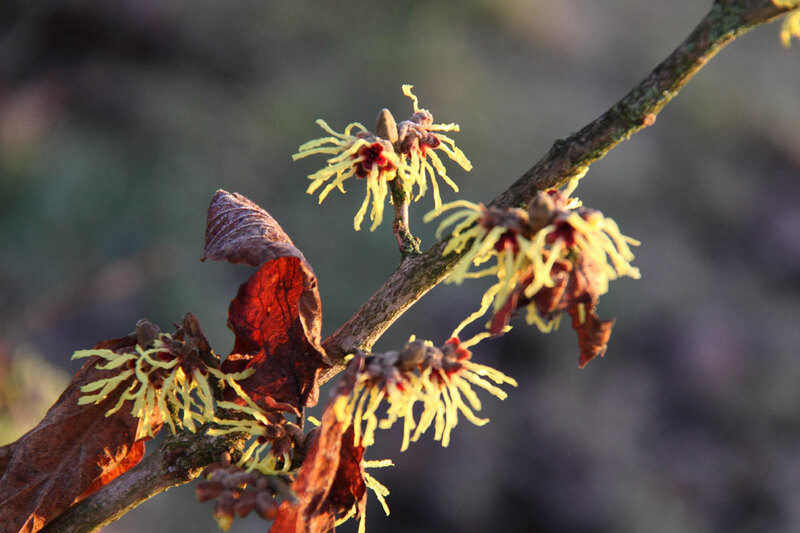 Witch Hazels are mainly grown for their unusual and beautiful winter flowers which are lightly scented. This particular variety has yellow flowers. There are other cultivars with orange or red flowers. 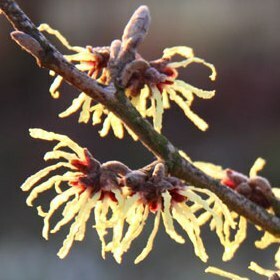 Like Viburnum x bodnantense ‘Dawn’ this Witch Hazel Hamamellis x intermedia ‘Pallida’ produces flowers on bare branches in winter before the new leaves appear each spring. The flowers are frost hardy.